If you're reading this, then you've literally found a treasure map that will lead you to a richer and more fulfilling life. 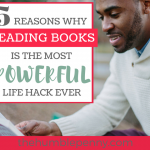 I have been approached many times on this blog to write about books that have been life transforming for me. 1. The difference between where you're right now and where you want to be is exactly the same as the difference between what you know and what you don't know. 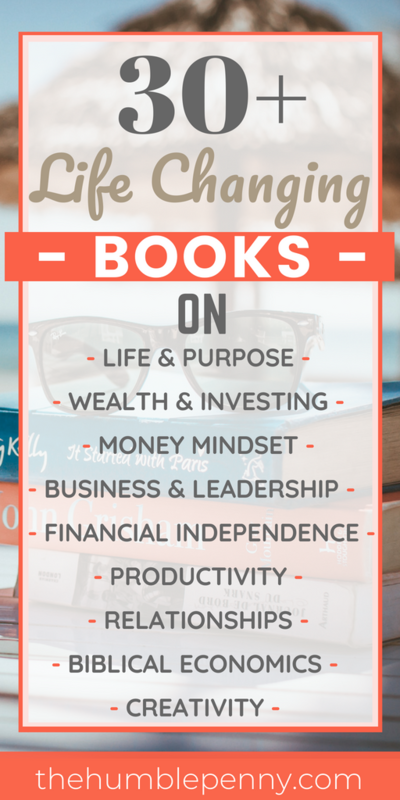 So by investing your time and money in buying and reading the right books, which I think is the best life hack ever, you're literally setting yourself up for great wealth. But note, it will not happen overnight. It will require a deliberate plan and action in your life from today and a need for you to remain shrewd and frugal in handling money. I chose this tagline because Joy is really what ultimately matters in our personal lives. Think about it. What's your dream life? You probably want that dream life because you want freedom. And you want freedom because you ultimately want joy. Joy is not just a one-time destination but a place we should aim to be at all the time. I also end every blog post with a call to action, asking you as my reader to “be thankful in all things and seek joy!“. This is very deliberate because what I am really trying to get across to you is that there is more to life than money. Although money is necessary and is a powerful tool. “Billionaires are a dime a dozen. There is a new billionaire in the United States every 6 days. There is a new billionaire in China every 5 days. Do you want to know what's much more unique than a billionaire? A person who lives in a beautiful state every single day, even when it rains on their parade, even when they don't get what they want, even when injustice comes. In my own words, that individual is in a place of Joy. Very closely tied to Joy are Gratitude and Love. Truth is, if you have no money and you're truly grateful, you're as rich as can be. 3. Chances are you're probably seeking money in your life because you seek Freedom. Although this is a great goal to have, you can have freedom without money at all. In fact, there are many people with alot of money without any freedom at all. 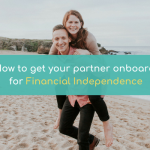 Although I promote the necessary goal of Financial Independence on my blog, the bigger goal is to help people achieve Personal Freedoms and to encourage living a life of collective self-interest that is beyond just their own. The below books have helped me to express and pursue my personal freedoms in life, with a focus on remaining in a place of Joy and Gratitude at all times. 4. As you learn these truths and acquire knowledge and understanding, teach others too. What you're about to learn in these books will not only transform your life, but that of the generations to come. However, this will ONLY happen if you aren't selfish and instead apply your acquired knowledge and wisdom to others. This is especially important if you have children because alot of the things you will learn have a massive dependency on starting early. 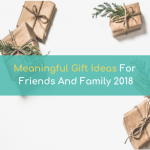 Aim also not just to teach these things to just your family members. Teach them to friends or to people in your communities. Take other people along with you on your journey to wealth. Only when you give do you actually receive. Success leaves clues. Therefore, if you invest, dive in and model what has helped these writers become successful, so can you. I have chosen a diverse range of books that have helped me feed my mind and spirit and strengthened my body. How did I get to read all these books? Time and money! I initially invested about £300 and bought as many as I could. Each month, I then invest in more books and courses etc. Learning is a way of living a good life, and reading the right books will open up portals in your world that you could never have imagined. This book was instrumental in leading me to start my blog. You can read all about it here. It taught me a great deal about how to approach my life problems from a design mindset. It is a simple easy to read book with various tasks to do which require some deep reflection. Questions such as What is work for? What is important in life? etc. It also introduces the reader to a refreshing way of reframing problems and encourages a bias to action among many other things. This is actually a business book but written from the refreshing perspective of mission led businesses that are focusing on purpose as a route to profit. I have always loved this dual approach to business and this book delves into many business winners such as Airbnb, Ellas Kitchen, Wholefoods etc and why they are successful. It really models the business of the future and will resonate with Millenials and Gen Zs who are more passion and purpose orientated. It will generally also appeal to anyone interested in a new way of doing business. Greg's essentialism is a powerful book that teaches the way of the essentialist (a movement that is here to stay). The essentialist keeps life simple and understands there is a real trade-off that exists with every decision or goal we pursue. The essentialist focuses on making the highest possible contribution to the things that really matter and executes using the genius of routine. I admire Ken Costa as a leader. He had a career in Banking/Finance that most people would envy. Yet he is very far from what you'd expect given this exposure. He delivers a powerful book on finding and fulfilling your Godly calling in life, no matter where you are on your journey right now. Your “Why” is the most important aspect of any project or venture you're considering and it's what will keep the drive going even when things aren't going the way you want. This is a thoroughly well-written and insightful book, that anyone can learn from whether you have a faith or not. This is possibly one of the best books I have read in this category. I read this book so religiously, it was nuts! It really had a tremendous impact on me because although it was written in 1937, I could still totally relate to everything in it. There is a secret in this book, which is so powerful but also so simple. Without wanting to spoil it for you, I'd let you discover it. In fact, this book had such an impact that within 6 weeks of reading it, I bought a property in a creative way that involved very little cash from me. It continues to help me each time I open it up. This book carries on from Think and Grow Rich, but this time 100 years later. It was the second book that inspired my blog and you can read about that story here. The writer taught me how to bring together my passions and talent, coupled with the right Associations, Action, and Faith for great good. Highly recommended. Jen Sincero is totally quirky and I love her style for that reason. This book is so raw and kickass that if you don't get blown away by her insights, I'd be pretty surprised. There are many false beliefs that hold many back when it comes to making money. I had my fair share and one major thing I took away from this book is the need to give myself the permission to make money in a way that isn't just tied to a job etc. Every chapter in this book is well written in a carefree style but with some deep points being made at the same time. One thing I took away from this book is the need to be deliberate about building wealth. This classic book contains alot of timeless advice on what money is, why you should not spend all your money, be frugal, “make thy money grow” etc. The life lessons in this book are communicated using the powerful tool of storytelling, and I believe everyone (students, workers, entrepreneurs etc) should definitely read this book! This reveals 7 recurring traits among those who have accumulated wealth. These traits are a great revelation as they really go against the trend of consumerism and the idea of people living as though they're rich (new flash cars etc) when in reality they're far from it. Such traits include i) living below your means ii) Financial Independence is more important than social status etc. Basically, this book is there to tell you that you can be wealthy! But you must make good financial decisions and make them early. This is the father of all investing books and is one that has been recommended by Warren Buffet in his letters to his shareholders. He credits this book for the framework that he has used in his investing approach. Note though that this is a meaty book to read. Consider it as a reference book that you'll buy and dip into now and again because there is an overwhelming amount of information in it. John Bogle is the father of index investing and the creator of Vanguard. This man is pretty much a financial god and his works have caused the biggest threat there is to active investing. Warren Buffet recommended this book in his 2014 shareholder letter. This book teaches you how to create a subscription business in any industry or add a subscription element to an existing business! Online or offline. A key message from this book is that subscribers are better than customers. And that is because your business will be worth more because of the lifetime value of your subscribers. 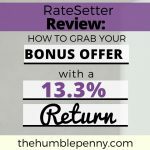 You get introduced to various models for subscription businesses and why they work uniquely. The other key lesson from this book is the concept of lifetime value vs the cost of acquiring a customer, and how these can be used to drive marketing and Return on Investment (ROI). This is the simplest and most effective negotiating book I have ever read. If you're thinking of negotiating a pay rise or a business deal etc, this is the book to read. It teaches you how to focus on the interests that drive our bargaining interests in a negotiation. So rather than just think of yourself alone (positional bargaining), it is better to consider mutual interest and think of options for mutual gain. There are a handful of people I know who have really exemplified giving as a way of living and also as an approach to business. Russell is one of them. He is a master marketer and I utterly respect him. He has written two books one of which you'll see below. This is a great book for entrepreneurs and marketers in the online space. It deals specifically with the art of marketing and is the second of two books he has written. Prior to the above book called “Expert Secrets”, Russell wrote this phenomenal book which really deals with the science of marketing i.e. the mechanics of marketing as it works today. A simplistic book that is written so well that as a business person, you'd take away action points to implement in your business immediately after reading this. The message in this book is simple. If you look at all the people you think are successful in a particular field, you will find that there is one thing they primarily focus on. The culture of today is one of doing as many things as possible and appearing to be doing it all really well. Ask yourself these questions – What do you want? What is your one thing? John Lee Dumas does a great job of reminding us to Follow One Course Until Success (FOCUS). A cracking book on leadership that is written by a Brit. Kevin has the great opportunity of interviewing some influential leaders (CEOs and the like of major companies) and pretty much teased out of them how they saw leadership today. Key messages include trust, authenticity, communicating to inspire, being self-aware etc in an ever-changing, fast and dynamic world. This book gives you a framework to use at any level in an organisation to keep communicating and inspiring people. This is a brilliantly written book about winning. I have written about this in the Secret Sauce to Winning and extended his ideas to include Purpose, Objectives Strategy and Tactics. No matter what you think of him as a politician, I'd suggest you put that aside and learn from what is a thoroughly researched and insightful book. Most people confuse objectives with strategy and even for tactics. Alastair uses real-life examples from winners in various spheres to really unpack a framework for winning. I have met Jeff a few times and he is an excellent speaker, businessman, and leader with a deeply fascinating story. This book brought together for me the idea of being a steward of money and how money plays a role in all as aspects of our lives. 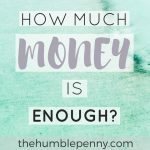 Jeff also writes about Financial Freedom and really comes at it from a biblical perspective. Again, you'll learn a tonne from this man whether you have a faith or not. My business colleague, David Glick, recommended this book and it has been life-changing for us in our journey of raising two boys. I grew up partly in Nigeria, and the upbringing there is very different and unique to the culture there. Steve is Australian and writes with such authority and insight that we are literally applying everything he writes to our lives. The goal of this book is to help children become happy and well-balanced men. I really loved the balance of scientific evidence and practical wisdom Steve puts out in this book. If you have girls, also check out Raising Girls. I am a family man and I believe massively in the power of genuine relationships and marriage. Marriages can be successful if both people understand each other and how they can be appreciated and loved. I came across this book in 2010 when I was getting ready to get married, and I read it together with my wife. As expected, we both spoke different love languages, which was quite exciting to know because we became aware of how best to relate to and show each other love. This book is simple, practical and effective, and something I'd recommend to anyone in a meaningful relationship. Some of you may know this but I owe a big part of my life to Robert Kiyosaki. This isn't necessarily because of this must-read book which introduces you to the rat race most people run. It is more that I met my wife at one of his conferences whilst seeking Financial Freedom in 2009. This book will leave you speechless after reading it. It is thoroughly simple but very powerful and unapologetic. You get introduced to the ESBI quadrant, which will transform the way you look at where you're now and where you want to be. I came across Jim Collins in 2017 and initially, it took me a while to warm up to him. However, the minute I actually listened to him on the ChooseFI podcast, I was completely won over by his modesty, charm, and intellect. His brilliant book follows the same messaging that has been preached for a long time by Mr. Money Moustache. Others such as The Escape Artist (whom I hope to host on this blog one day) have done a great job in the UK of trying to spread the Financial Independence movement. When you strip out all the entertaining aspects of their blogs, you'll find that they are telling the truth. Tony Robbins completely demystifies stock market crashes and tells you exactly what you should and should not do during market crashes. There is a right way to invest and win the game, and this book does well to reveal that to you. I am a big fan of his in general and his personality is infectious. Really love this guy! This book met me at a pretty dark stage of my life career-wise. I hated my job at the time and even more so, I not quite like my boss. Life felt miserable until a friend told me about this book. It literally felt like a bright light had been shone into my life. My perspective changed and I began to win power back into my hands and life. This book taught me about the need to live every day with purpose because each day really is a gift. It isn't credited to us by default. This book has become a classic and deservedly so. It gives you 7 integrated principles for doing life well personally and professionally, and the earlier you read this book the better. Examples of these principles include starting with the end in mind, being proactive, thinking win-win etc. I have written about 5 Ways To Change Your Life Through Mind Mapping, which I'd recommend you soak up for how powerful this tool can be for your life. This book will make a big difference not just to your creativity but also to your memory retention, concentration, productivity etc. Mind maps can practically be used for all aspects of your life including writing lists, note taking and making etc. You'll not believe how much fear I had about starting this blog (which was something completely outside of my comfort zone). I worried a lot about being judged and how I would be perceived etc. Pressfield refers to this as “resistance” in this book. The more resistance you experience with something you want to do, the surer you can be that it is the best thing for your personal growth and development. The more scared you're the more you need to do it to honour yourself. Having reflected on 5 Lessons from My Crazy Odd Jobs, I realise that where I have been myself the most and become successful as a result, have come from things that I was very afraid to do but did them anyway. 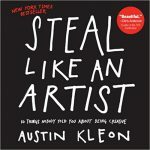 This book by Austin Kleon is a NY Times Best Seller. It takes you on a journey about 10 things nobody told you about being creative. As I'm someone who never believed I was creative, this book was a big eye-opener! One of my favourite chapters in the book is the one about not waiting until you know who you are to get started. It also massively promotes the importance of side projects and hobbies, and doing good works and sharing them with people. 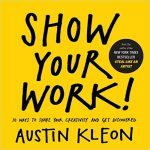 This follow up book from Austin Kleon was another HUGE hit and this time takes you on the journey of 10 ways to share your creativity and get discovered. I gained a lot of confidence from reading this book and the title is a command to get out there and be you! One huge idea I took from this book is the concept of turning your flow into stock. It's on page 61 of the book. Check it out! I hope you enjoy checking out and reading some of these books. There are many more I could have added and many more I still need to read and will add as time passes. Do me a favour please, if you read any of these books and find them useful, please share your experience below by commenting so that other people can learn too. What Books have been Life-changing for you? Please share below. Very thoughtful selection. Thank you so much for sharing this. Hi Abu, glad you’re finding these useful. What are you reading at the moment? Rich Dad Poor Dad book changed my life too. As you said that you bought a property via creative finance, I recommend Property Magic by Simon Zutshi which I found useful in my property investing. Your blog is very interesting and engaging. Great recommendation. I’ve heard good things about Property Magic. Glad to hear Rich Dad Poor Dad was also life changing for you. Great list Ken, I really want to read Getting to Yes and the Automatic customer. I know that if I get the same recommendation from at least 3 people, it tells me something about the book! You may want to read “Smarter Investing” by Tim Hale. Explains the concepts of investing very well and from a UK perspective. Thanks for stopping by. Araminta told me about your site and I said I must check it out! You beat me to it. Getting To A Yes and Automatic Customer are brilliant books. Highly recommended. I’ll grab Tim’s book. I’ve had it on my list but now you’ve tipped me over to order one. ‘Rich Dad, Poor Dad’ should be required for anyone pursuing Financial Independence. I’d also recommend ‘Secrets of the Millionaire Mind’ and ‘As a Man Thinketh’. Great website, too. Lots of informative and inspiring content. I think everyone should go after FI. I couldn’t agree more! Thank you for the recommendations. I’ll check them out :). Cheers for stopping by!